At first I was very reluctant to sing. But with some courage and encouragement from my 3 daughters who are my 3 beautiful angels and not (3 idiots), I bring to you two beautiful songs from the film. I think that this was the best movie of the year 2009 with beautiful music by Shatanu Moitra. 3 Idiots is not only a flawless work of art, but it is a vital, inspiring and life-revising work of contemporary art with some heart imbued into every part. In a country where students are driven to suicide by their impossible curriculum. 3 Idiots provides a message of hope. Directed by Rajkumar Hirani, with a screenplay by Abhijat Joshi, and produced by Vidhu Vinod Chopra. 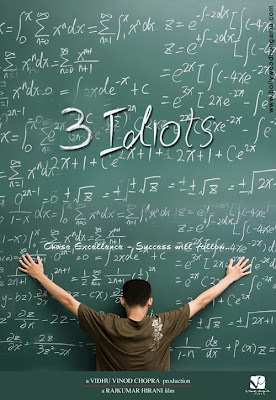 3 Idiots has become the highest grossing Bollywood movie of all time. 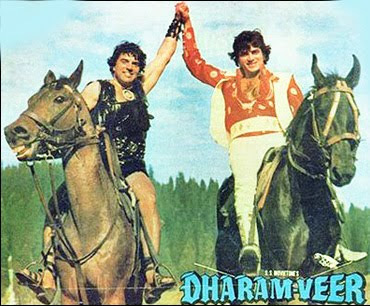 The film set a box office record for the Indian film industry. The film also went on to win many awards, winning six Filmfare Awards including best film and best director, and ten Star Screen Awards. Lastly, I thank my daughter “Chiku” for giving chorus to complete one of the songs and also thank Chiman & Aruna Mistry to inspire me to sing one of their favorite songs “Behti Hawa Sa Tha Who” Chiman….this goes to you, as I dedicate your special farmaish! Friends, please support and provide your feedback by giving a listen. Many Thanks! The film is based on the "lost and found" formula, a specialty of its director, Mr. Manmohan Desai. All in all, thoroughly entertaining fare with beautiful backdrops, gorgeous stars, grand festivities, moderate emotions and hilarious comedy, and superb music by Laxmikant-Pyarelal with awesome songs make it a must watch! Bringing to you a much appreciated duet song originally sung by Rafi and Mukesh. Ours is a mere attempt and I hope you all willl like to listen. I am very thankful to Azam, one of the most talented and versatile singers on the blog for lending his voice and taking the task to mix this beautiful duet song. Please listen to our humble attempt. Your feedback and comments will be well appreciated. Your support and good words mean so much! Ending the year with a beautiful song from the film "Kurbaan" Frankly I love this song and can't sing like the Great Sonu Nigam, but thought that it would give a bit different flavor with our humble attempt. I immensely thank Yogita to give her beautiful voice to complete this awesome duet of the year. I hope you all will enjoy and like listening this lovely duet. Please listen to our humble attempt and we will greatly appreciate your feedback and comments. 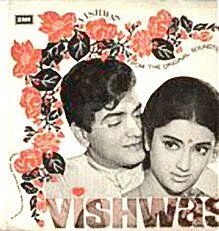 After a long pause I am posting this beautiful duet from the film "Aashiq" This lovely duet has fascinated me since childhood for its beautiful tune and melody composed by the Master (SJ/RK/Shailendra/Mukesh-Lata) I immensely thank Nikita one of our very talented singers from the blog to lend her beautiful voice for this particular duet. I also thank Paras for her guidance on the lyrics and word prnounciations. Finally I would like to extend my huge thanks to my dear friend Jatin Arya for mixing and making us sound so good. Please listen to our humble attempt and will greatly appreciate your feedback and comments. Saraswatichandra was raised by his "step mother". He was a compassionate person who wanted to spend his life for "Lok Seva" but upon his father's suggestion agreed to meet Kumud Sundari and fell in love with her. The step mother did not like the idea of another woman getting importance in her house. She accused the step son of wasting money on his future bride and the father also scolded the son for being irresponsible. Saraswati decided not to marry and left his home also. Kumud was married off into a rich family but had a very unhappy married life. The story deals with... first love, sacrifice, duty, temptation and true love again.. which is to sacrifice everything for that person. The movie was based on a Gujarati novel by Govardhanram Madhavram Tripathi and was directed by Govind Saraiya, starring Nutan as "Kumud Sundari" and a relatively unknown actor, Manish as "Saraswatichandra". The dialogue writer, S. Ali Raza, went on to receive Filmfare Award for Best Dialogues and the Best cinematography award went to N. Irani. Kalyanji-Anandji received a National Award for their melodious music. Saraswatichandra was the last movie to be made in black and white in that era. Please listen to my humble attempt to 2 beautiful songs from the film. I would like to thank Paras Acharya who had been very instrumental, encouraging and helping me gather information to complete this classic theme. Your valuable feedback will be greatly appreciated. Thank you. LIFE ITSELF IS A PHILOSOPHY! One of the most philosophical songs of all times from the film "Anokhi Raat", this was also the last composition of legendary composer Roshan (known to the present generation only as Hritik Roshan’s grand-father and Music Director Rajesh Roshan's father). And how beautifully Indivar sa’ab has juxtaposed elements of nature and cycle of life with beautiful lyrics: Sooraj ko dharti tarse, dharti ko chandrama, Paani mein seep jaise, pyaasi har aatma, Boond chhupi kis baadal mein, koi jaane na, oh re taal mile nadi ke jal mein, Nadi mile saagar mein, Saagar mile kaun se jal mein, koi jaane na. Mukeshji has sung this with deep emotions. Listen to my sincere attempt to begin the new year 2009 with much peace and hapiness in the globe.